Having a fun day today making birthday cards. 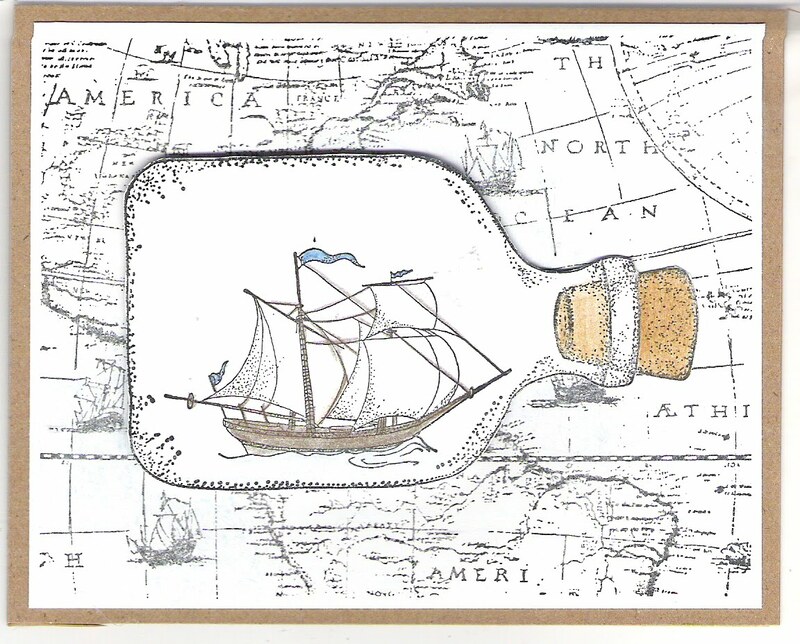 This first one is a birthday card for our 28 year old grandson who lives near the water so thought it was fitting for him. 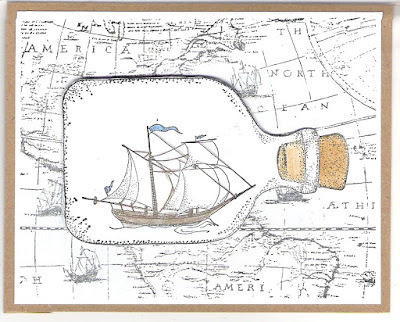 The map, bottle, and ship are all stamps from Just For Fun. I raised the bottle using pop dots so it would stand out a bit. The verse inside says "There's No Catch! Just Wishing You A Great Birthday!" and is from Arizona Stamps,Too.